Squash Casserole is an essential for potlucks, bbqs, and holiday get togethers. With it’s buttery cracker topping, and tender squash, this recipe is a hit all year round! Having my family around for the holidays got me thinking about many of the recipes from home that I love. Of course, I put in a few special requests while I had my own mom and my kitchen together. Who could pass that opportunity up? One of them was this scrumptious southern style Squash Casserole with Crushed Ritz Cracker topping. It’s middle of January and it’s been between 50 and 70 degrees. And, as of yet, not a single snow here in northern Virginia. Can the weather get any stranger? What is going on? Of course, if you are in the midwest, you might be wishing for our weather since there is a rather nasty ice storm headed your way. Over the Christmas break, my family who was visiting commented that it must be much colder up here in Virginia. It really isn’t, or at least it doesn’t feel that way to me. With the exception of Thanksgiving and the holidays, it seems like side dishes often get overlooked when it comes to meal planning. But in reality, a big slab of meat on a plate is kinda boring without a great side dish! Every summer we have tons and tons of squash pouring from the garden so I have a few side dishes like today’s squash casserole and these yummy squash muffins that help me get through it during the year. I love side dishes with simple ingredients so that the flavors really stand out. Toss some veggies with some butter and eggs, top them with some cheese and crunchy crumbs, and it’s kinda hard to go wrong, right?! I really only have one note for this recipe (listed in the printable as well). The very best part of this Squash Casserole recipe is how forgiving the ratios of squash to topping are. I have used anywhere from 7 – 10 cups of squash in it without much fuss. I might add slightly less sugar with the lower end of the spectrum though. It does have a sweet and buttery taste. The ritz cracker topping just completes it with all that crunchy goodness next to the tender squash. Enjoy, friends! Love Southern Style Recipes? So Do We! Squash Casserole is an essential for potlucks, bbqs, and holiday get togethers. With it's buttery cracker topping, and tender squash, this recipe is a hit all year round! Bring a large pot of water to a boil. Add squash and boil until tender but still firm, about 10 minutes. Drain well and pat dry or set on paper towels. In a large bowl, add milk and eggs. Beat the eggs. Stir in butter, green onion tops, sugar, salt, and pepper until well mixed. Stir in the squash. Transfer to a 9x13 inch casserole dish. Sprinkle with cheese and top with the crushed crackers. The recipe is very lenient with the amount of squash used. I have used up to 10 cups before without changing the rest of the ingredients and the casserole was perfectly fine. I did cook it a bit longer. It just depends on how much you have on hand. 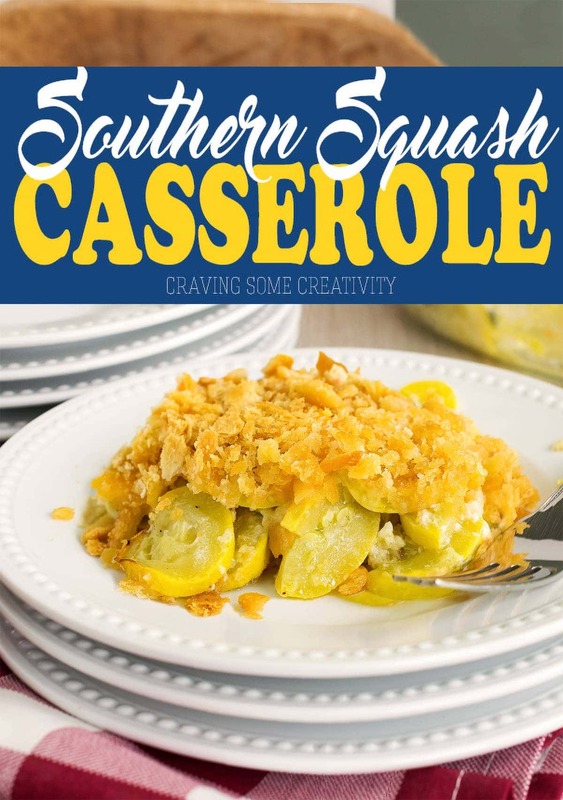 You can also make this casserole with half squash and half zucchini or substitute almost any squash you like such as acorn or spagetti squash.